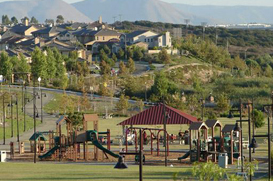 The quiet inland bedroom community of Scripps Ranch offers recreational boating and fishing for the 32,476 people that live there. Scripps Ranch was originally a 400 acre ranch owned by newspaper publisher E.W. Scripps. A unique feature of the Scripps Ranch landscaping is the abundance of eucalyptus trees that are most apparent along Pomerado Road. The town is nestled within thousands of acres of rolling hills and extricates it’s residents with scenic views of country resting on Miramar lake. All Pro Linebacker of the San Diego Chargers Shawne Merriman is one of the notable residents that occupy Scripps Ranch. Notable companies in Scripps Ranch are Hitachi, LG Electronics, Lockheed Martin, and MedImpact.